It’s almost strange to consider how implicitly we trust bus drivers. If you really think about it, you’re trusting a person you’ve never met to take you from point A to point B. We expect to arrive safely at our destination, on time and unscathed. The vast majority of time, of course, this is the case. One driver was heroically able to save the life of a 5-year-old child, after she noticed something was awry whilst on her route. A number of young children were travelling her school bus and were naturally doing their best to have fun. As a result, the driver in question was frequently checking behind to make sure they were all behaving. Then, suddenly, she heard a noise she will never forget. One of the children alerted her to the fact that another kid was choking. Stunned, the driver didn’t immediately know what to do. Luckily, her panic lasted all of a split second before she leapt out of her seat and rushed to the child’s aid. 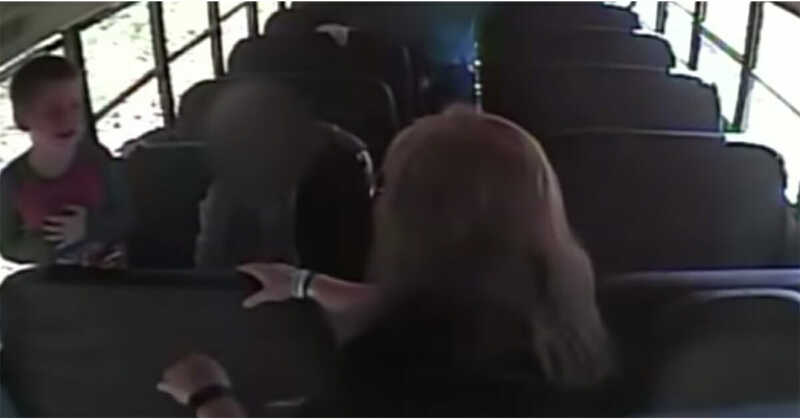 Footage from the bus shows how she abruptly pulled over and raced to the young boy, who happened to be choking on a random object. It later transpired that a penny was lodged in his throat – he would most certainly have died had it not been for her quick thinking. 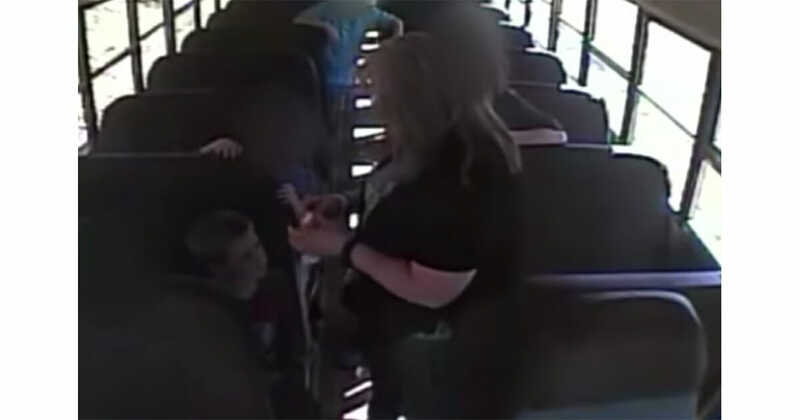 This little boy is certainly lucky to have a bus driver who not only has the mettle to react in such situations, but also knows a thing or two about saving lives. If you, too, think people should be paying tribute to her, share this article on Facebook.